Stephen Stills, Barry Goldberg and Kenny Wayne Shepherd decided to move forward together professionally after playing at a benefit in 2013. The result was The Rides. Stephen Stills, Barry Goldberg and Kenny Wayne Shepherd, known together as The Rides, have completed their second album. Crosby, Stills, Nash & Young performed The Rides ‘Don’t Want Lies’ at Young’s Bridge School Concert on the weekend. The new “supergroup”, the Rides, will tour this September in support of their debut album Can’t Get Enough. The Rides are Stephen Stills (Buffalo Springfield, Crosby Stills and Nash), Barry Goldberg (Electric Flag) and Kenny Wayne Shepherd. Stephen Stills’ latest musical project is The Rides, a new supergroup with Kenny Wayne Shepherd and Barry Goldberg. Stephen Stills, Barry Goldberg and Kenny Wayne Shepherd have formed the new group The Rides and will release their first album, Can’t Get Enough, on August 27. 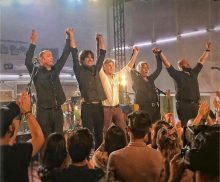 Tagged as: 2010s, Barry Goldberg, country, Folk Rock, Kenny Wayne, Stephen Stills, The Rides, U.S.A.
To get to Abbey Road studios, of course!Sir Paul McCartney dropped into the studios he and his fellow Beatles made famous, yesterday (23 July), to do a (not so) secret gig showcasing some new songs from his forthcoming album, Egypt Station, and some from his illustrious past. Sir Paul McCartney can add yet another award to his trophy case, to go along with his Oscar, 8 BRITs, 18 Grammys, and 22 NME awards, to name but a small few. 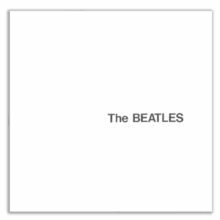 The imaginatively titled, The Beatles, more commonly referred to as the White Album, will be 50 years old this November. Bruce Springsteen broke away from the script of his Broadway show on Tuesday night (19Jun18) to denounce U.S. President Donald Trump's "inhumane" illegal immigration policy. Aretha Franklin has been going through something serious medically the last few years, but nobody but her closest confidants know what it is. Seven years after covering the 60s and four years after taking on the 70s, Matthew Sweet and Susanna Hoffs are back redoing the music of the 80s with Under the Covers, Volume 3, out November 12 from Shout! Factory. Peter Cetera's home in Ketchum, ID is currently being threatened by the wildfires that have spread to 126,000 acres in the area.